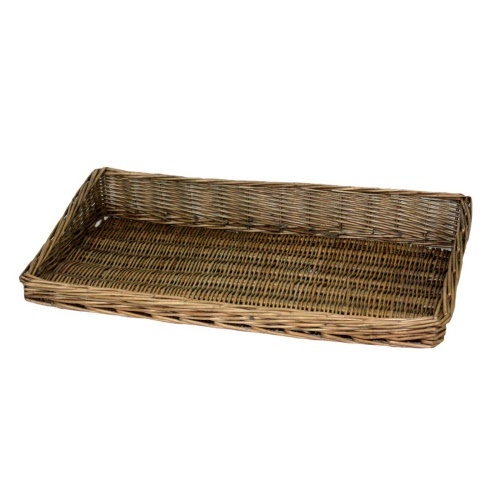 Create beautifully rustic displays with this antique was willow retail display tray. The tray is low sided and long which is perfect on a counter or table top, in a window display, or on shelves. Strong, durable and high quality hand woven finish. Ideal for bakeries, farmers markets, wine stores, and any other retail store with a country & rustic theme. 600mm / 60cm / 23.75"
100mm / 10cm / 4"
50mm / 5cm / 2"